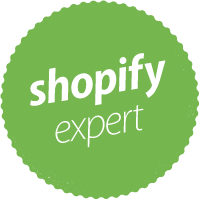 LeaderShield: Shopify Experts | Schedule Your Free Consultation Today! Take Your Shopify Store to the Big Leagues. For eCommerce sellers who want to attract more customers and make more sales, LeaderShield is the new standard. For sellers new to Shopify, we can get you started on the right foot. Our experts will work with you to build and brand a storefront that you love. Whether you sell physical products, digital tools, or a service, we'll set you up for success. Unlike DIY or online "sales gurus," we have taken multiple Shopify stores to 6-figures in under 6 months. For entrepreneurs with high traffic and low sales, our Conversion Audit is critical. We use A/B testing, neuropsychology & decades of experience to analyze your shop. Then, we make detailed recommendations to how to improve your conversion rates. Unlike conversion apps and tools, our approach is personal. Speak with a real expert, who understands and cares about your business. For new and legacy Shops, Review Requests will super-charge your online reputation, fast. We contact your customers via email & SMS to request honest feedback. Then, with one click, we allow fans to publish their review on Facebook, Google, etc. Unlike automated review apps or an email blast, we screen negative reviews out - allowing only your fans to tell your story. For entrepreneurs who want to get found online, LeaderShield SEO is the new standard. We optimize your website to rank higher on Google and Bing so it can get discovered by more shoppers. Plus, we adjust it to load faster (critical for mobile shoppers). Unlike DIY and other SEO services, we provide live work reports so you can track our work and results. We'll review your website and set up a consultation call. If we're a good fit, we'll move forward on your project. Every LeaderShield client is assigned a Designated Account Manager, who is intimately familiar with your project and always available to chat. Don't stress - at LeaderShield we're committed to SMBs. That means we're affordable to every serious entrepreneur - even start-ups. Take control of all of your LeaderShield services with our one-of-a-kind Client Business Center dashboard. Get notifications, reports, and more! At LeaderShield, the customer always comes first. Here's just 3 ways we practice what we preach. Contact LeaderShield today, and we'll get your consultation booked at your earliest convenience!